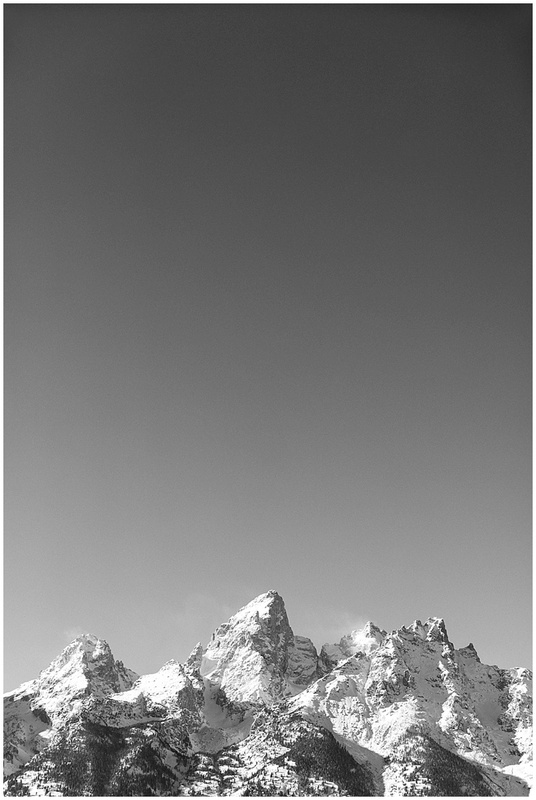 This first photo of the Tetons is one of my favorite images that I have ever taken, I made them run through the sage brush to get the perfect light. 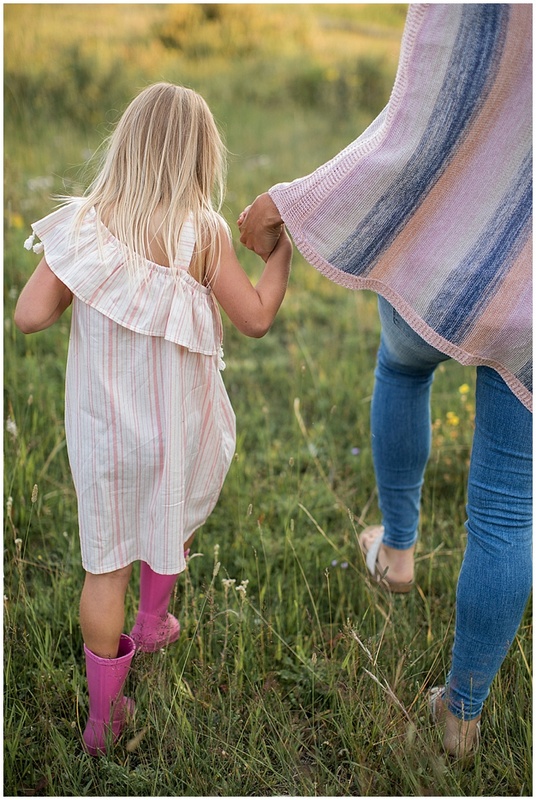 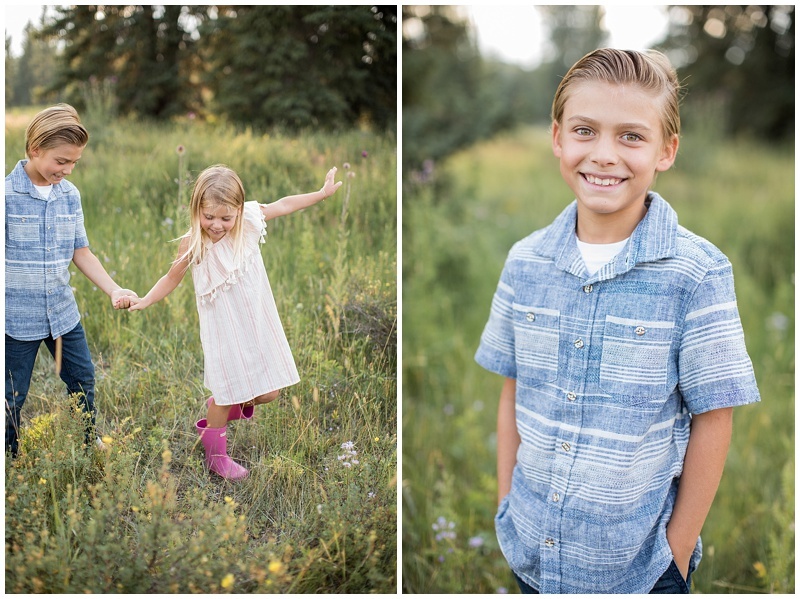 I am so glad they were up for frolicking through the field! 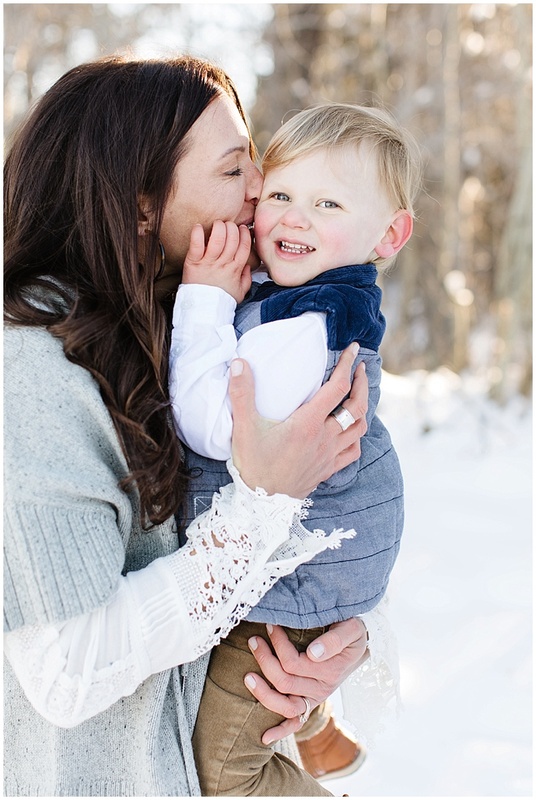 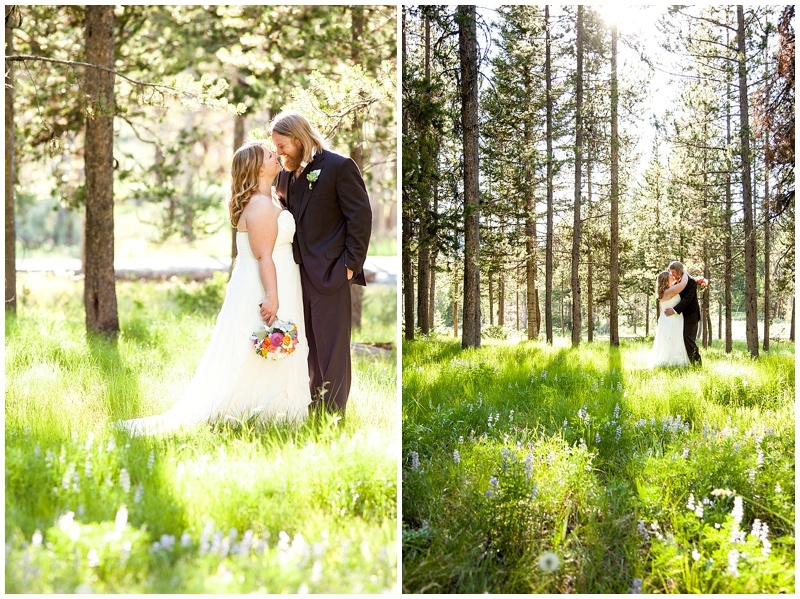 The lighting was perfect in their formal session before their wedding. 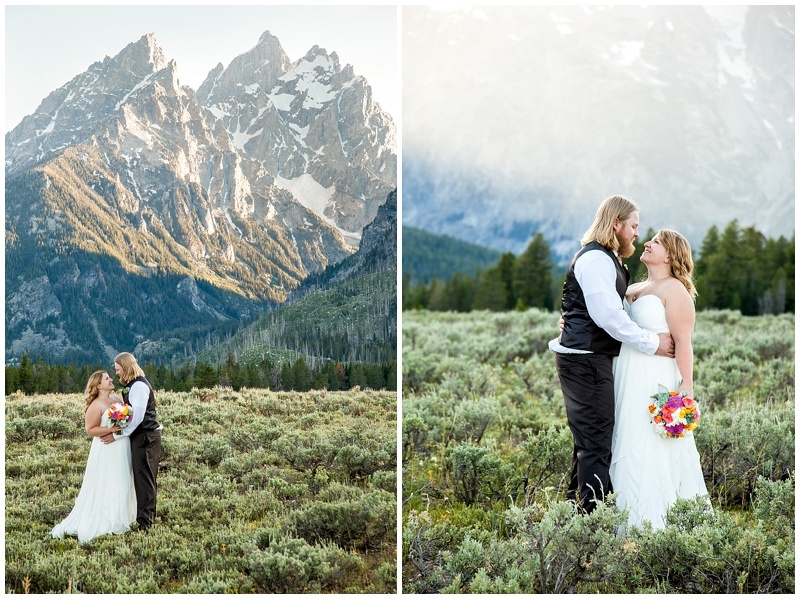 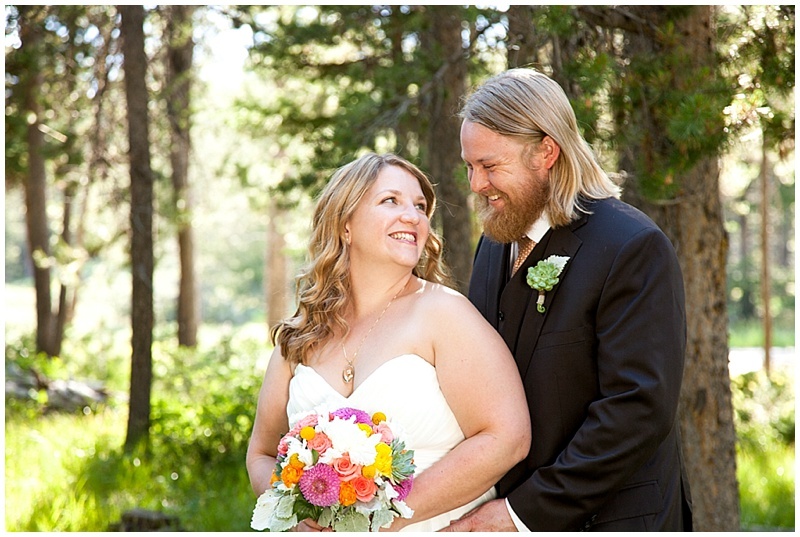 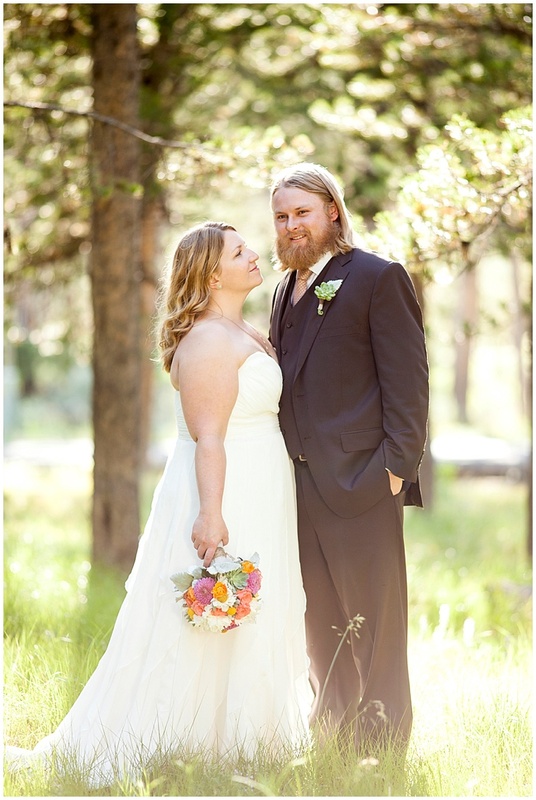 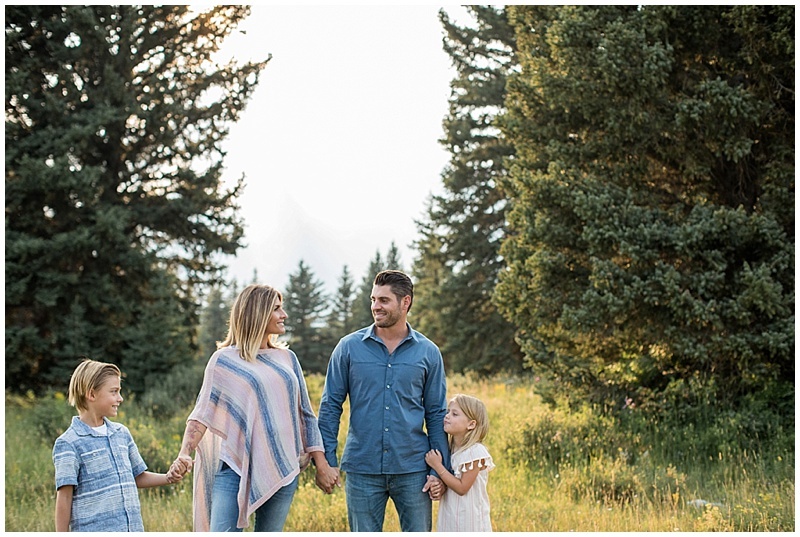 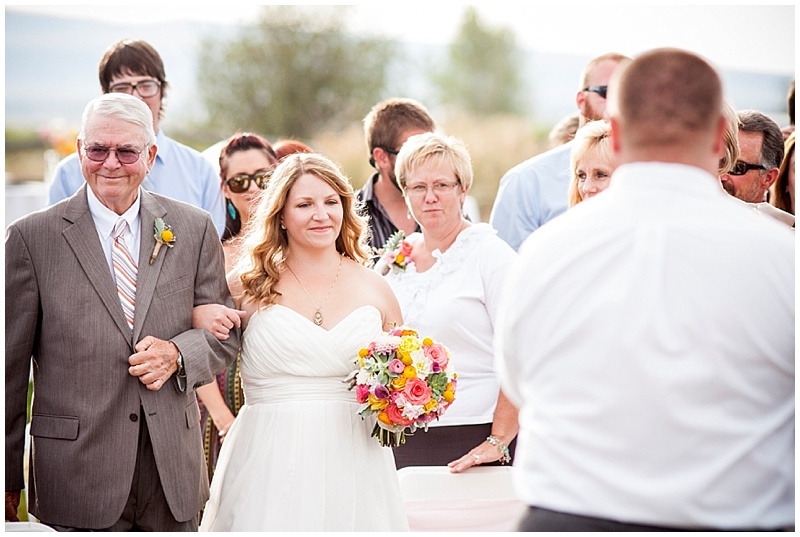 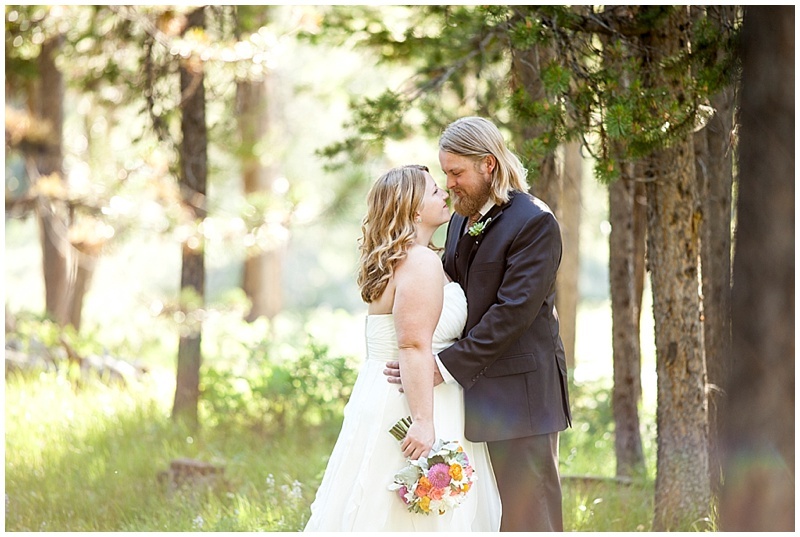 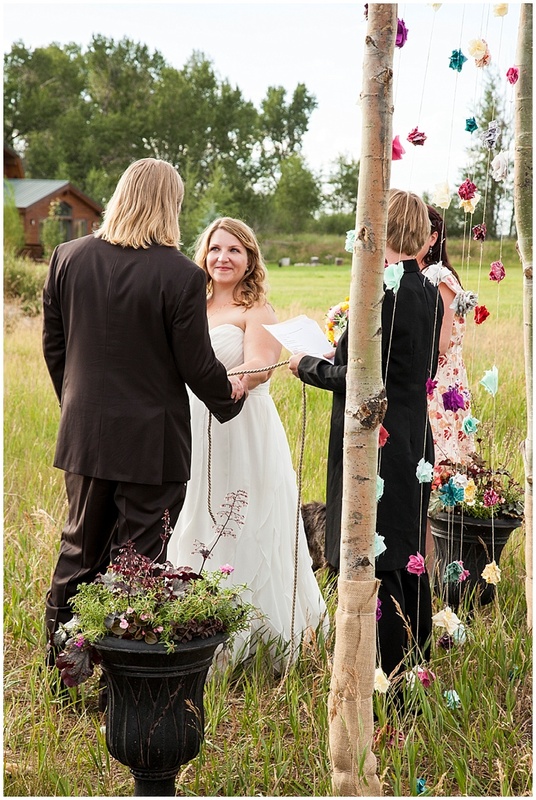 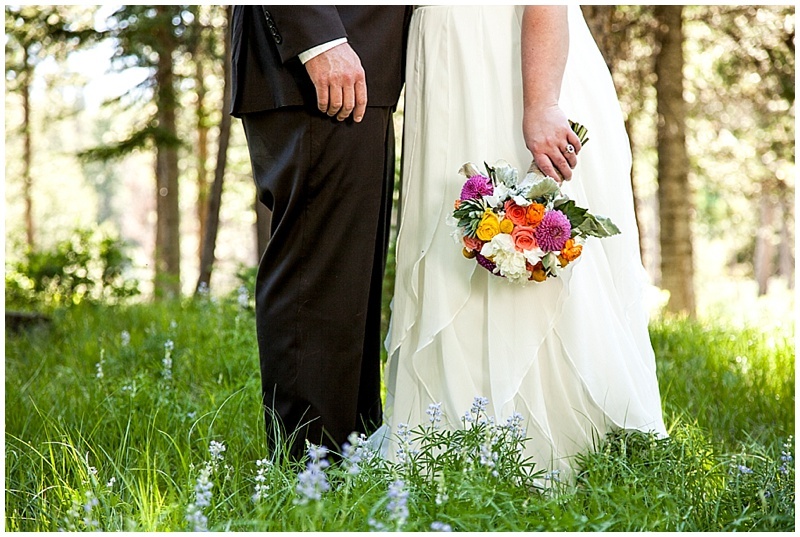 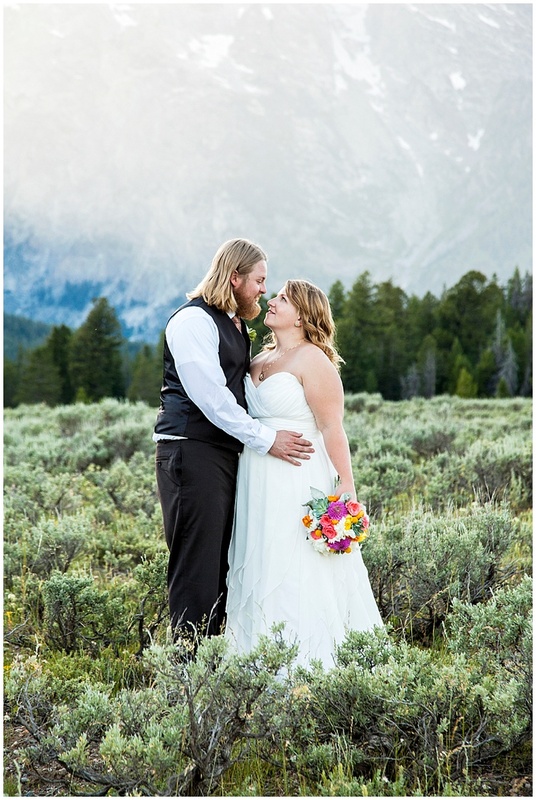 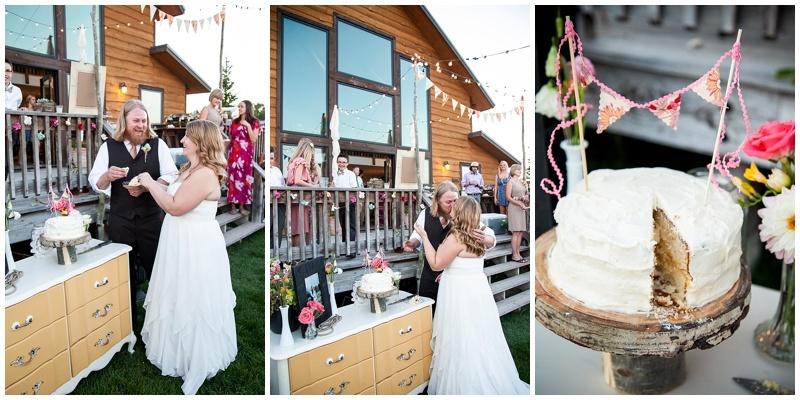 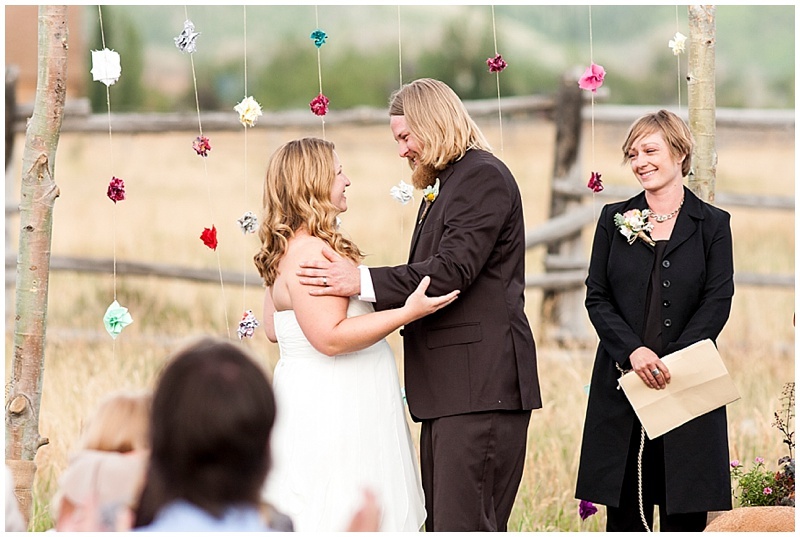 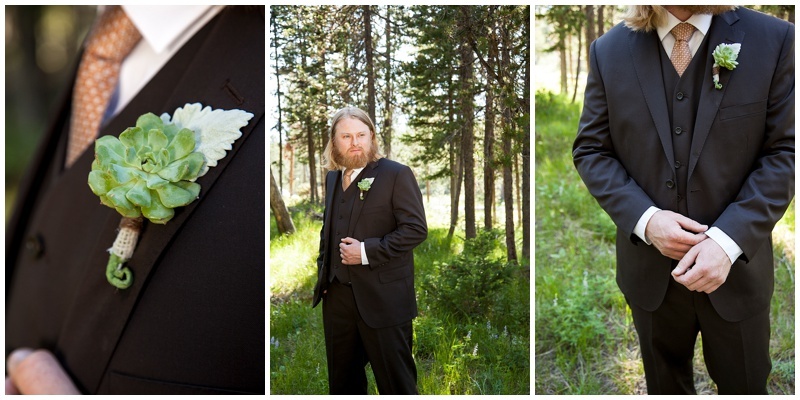 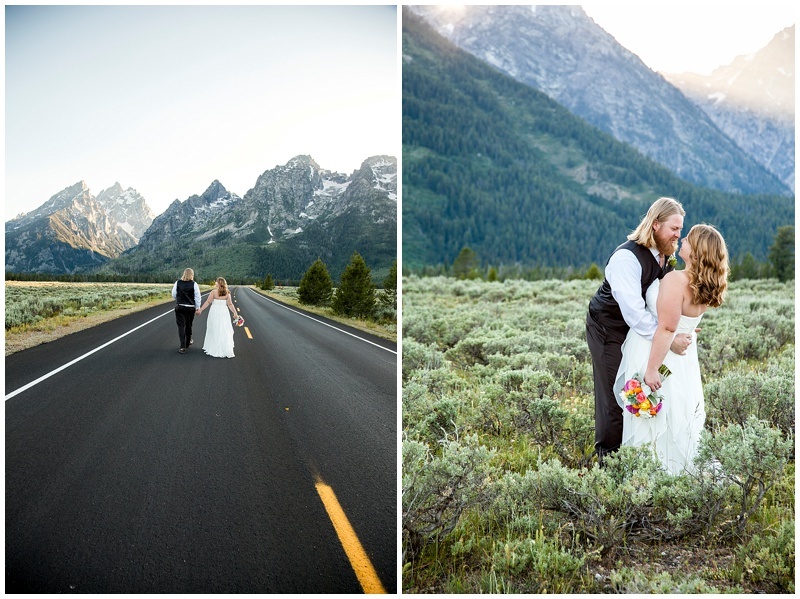 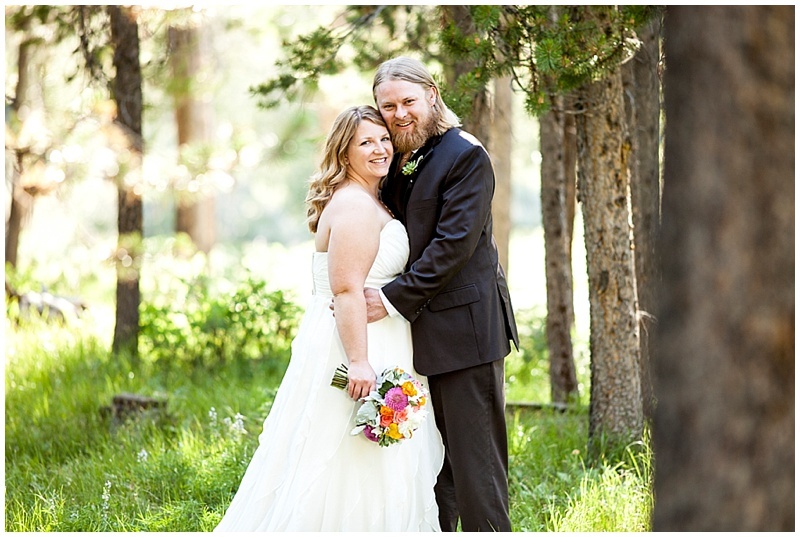 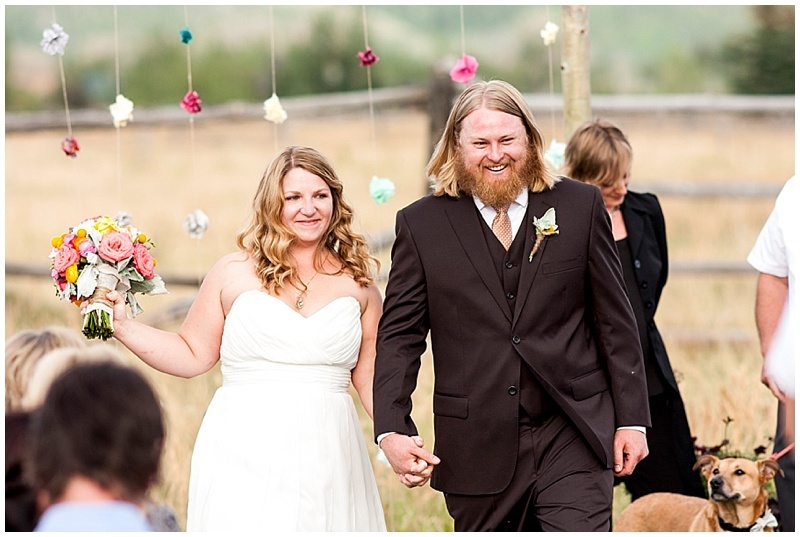 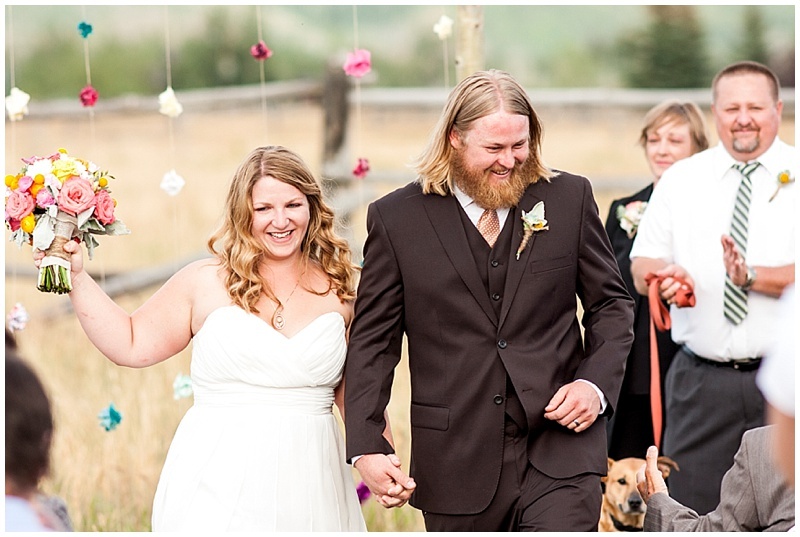 These two wanted a destination wedding and they chose to do their wedding in the beautiful Teton Valley. 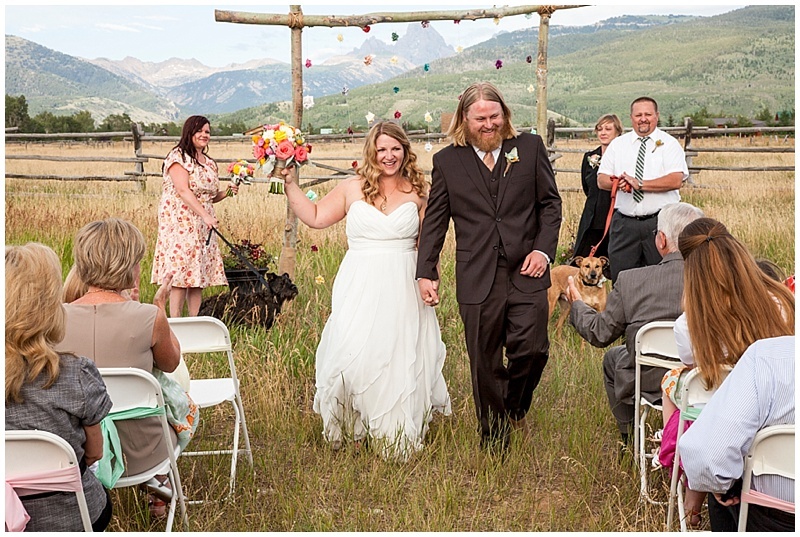 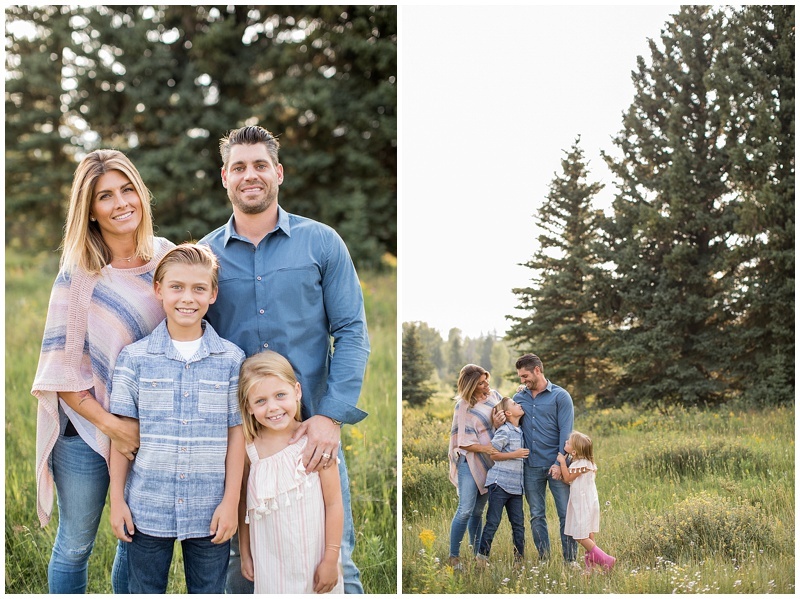 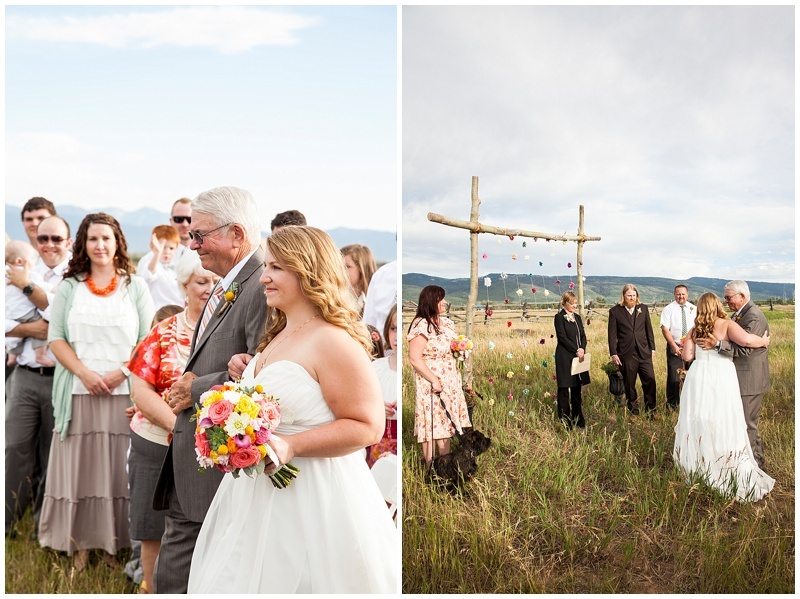 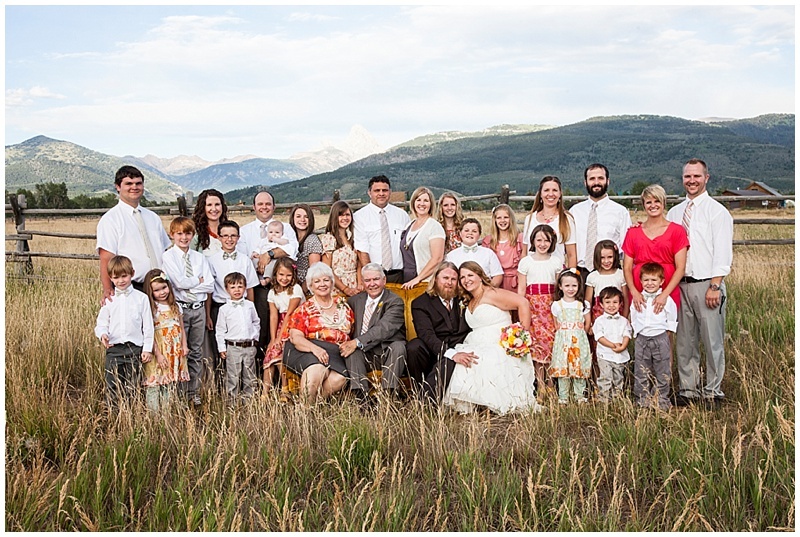 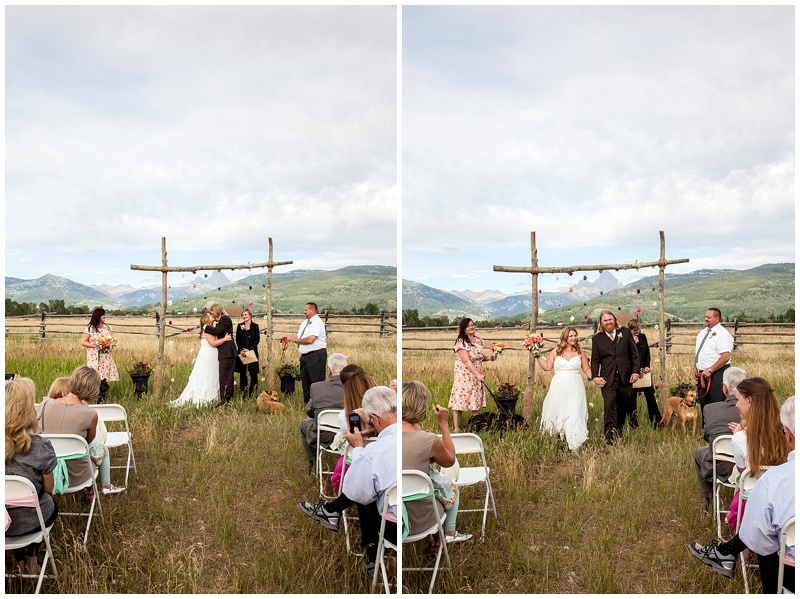 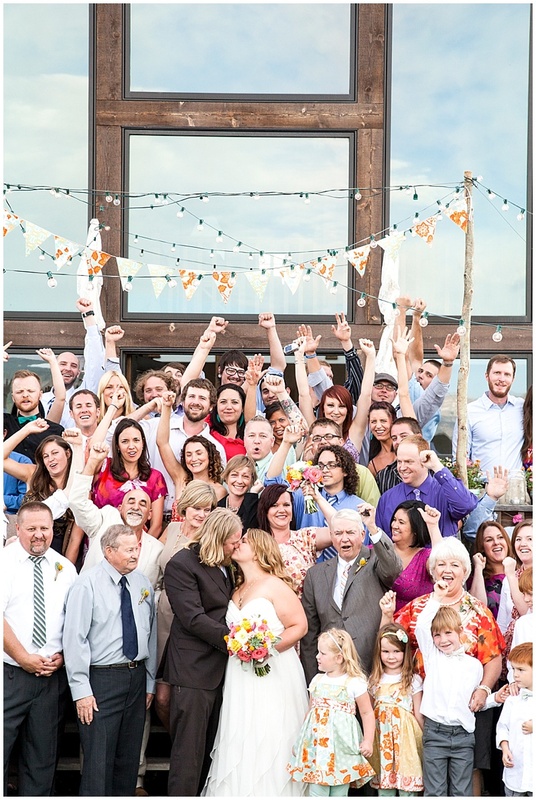 Driggs, Idaho was the perfect setting for their ceremony, they rented a private cabin and invited some of their closest friends and family. 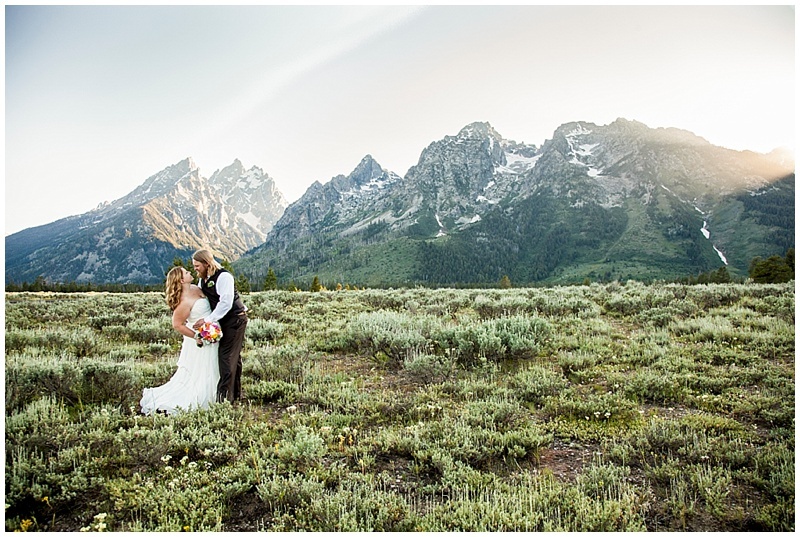 I love intimate weddings in amazing locations. 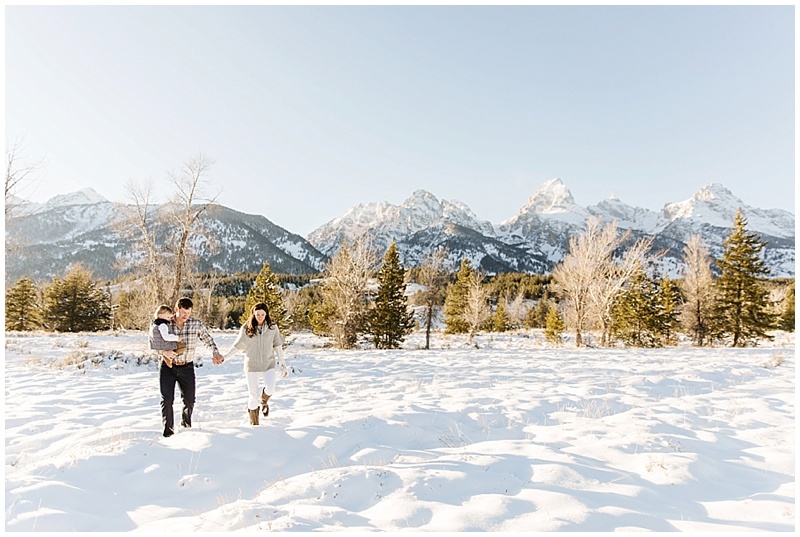 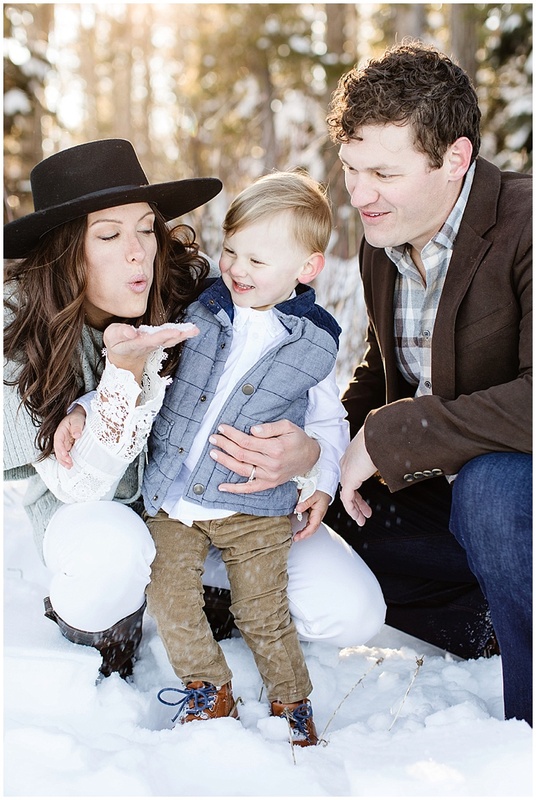 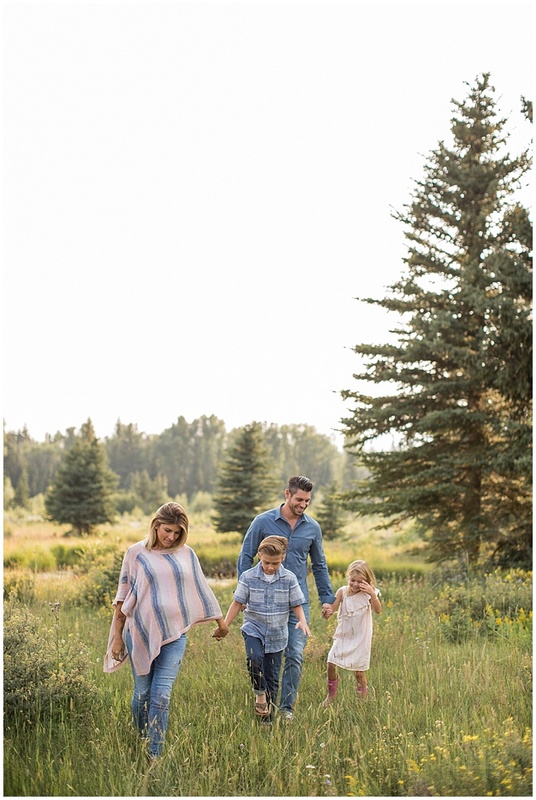 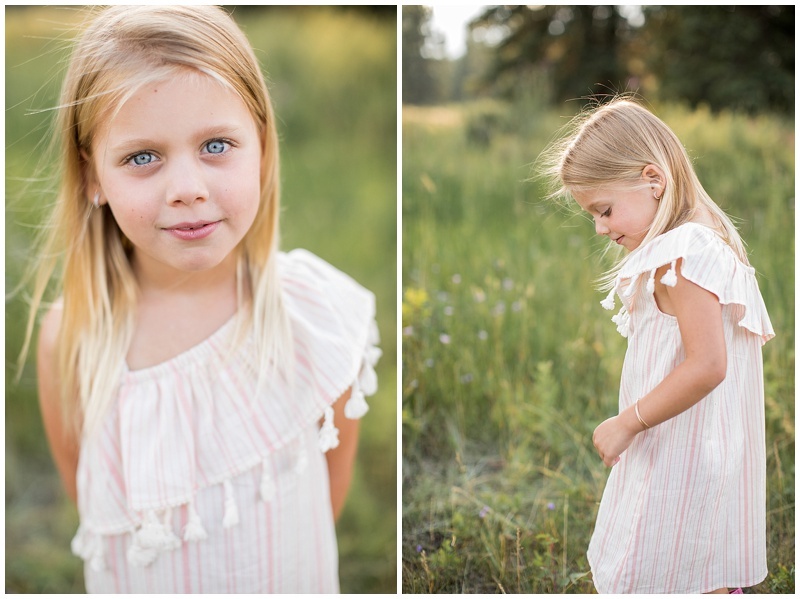 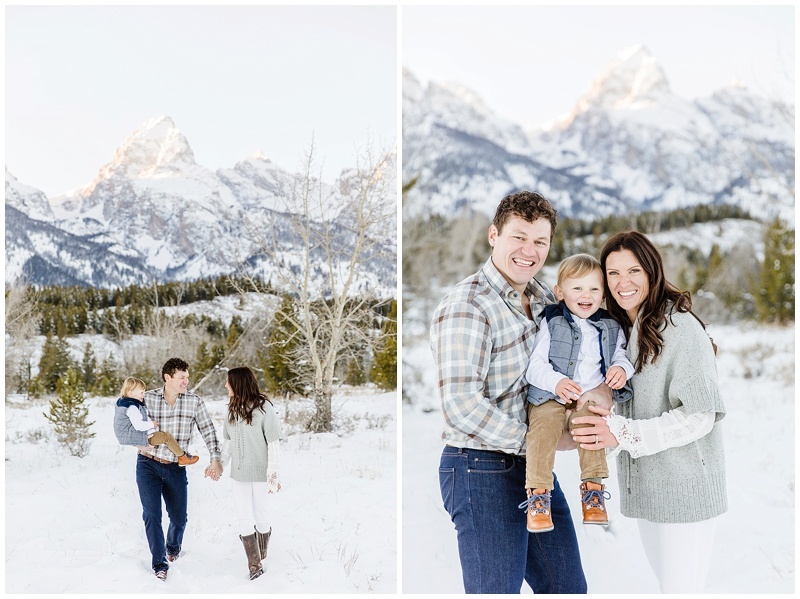 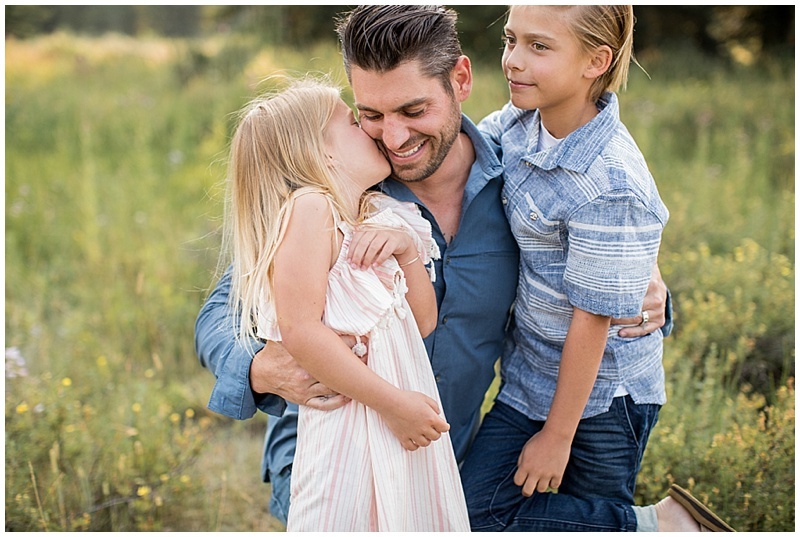 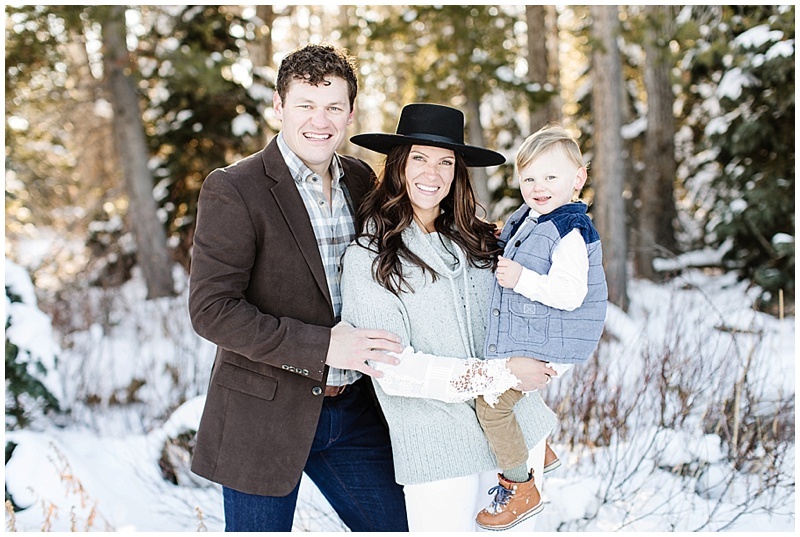 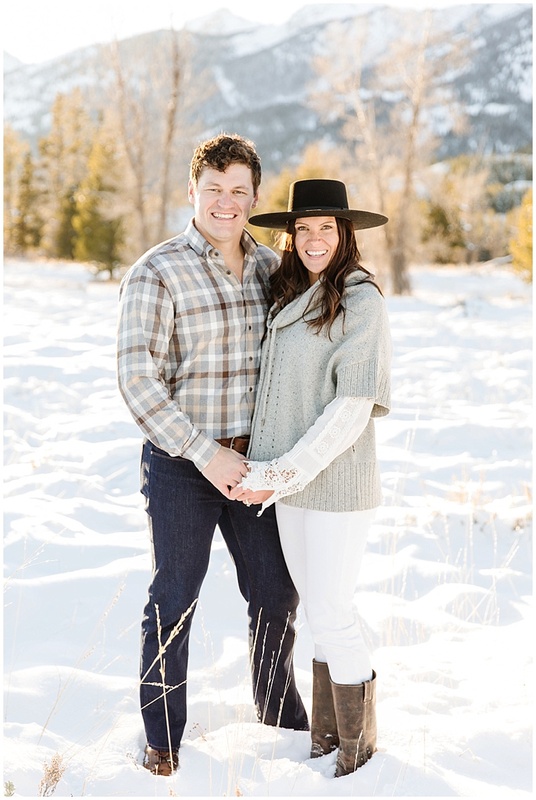 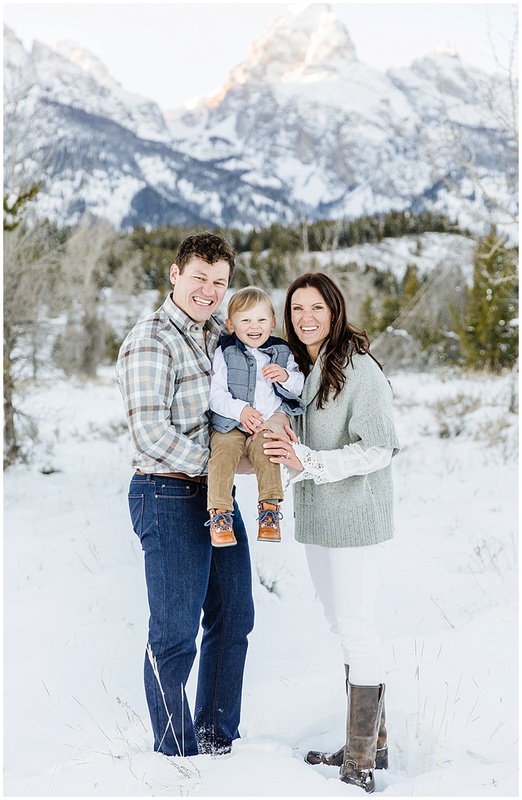 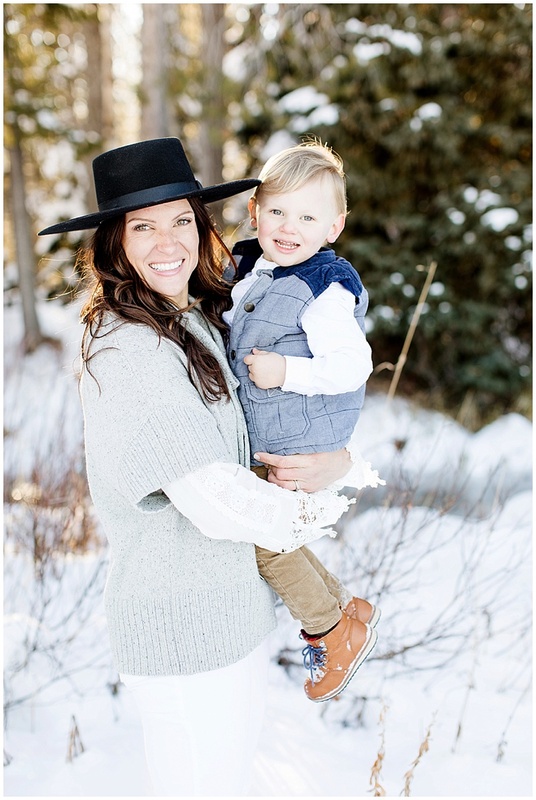 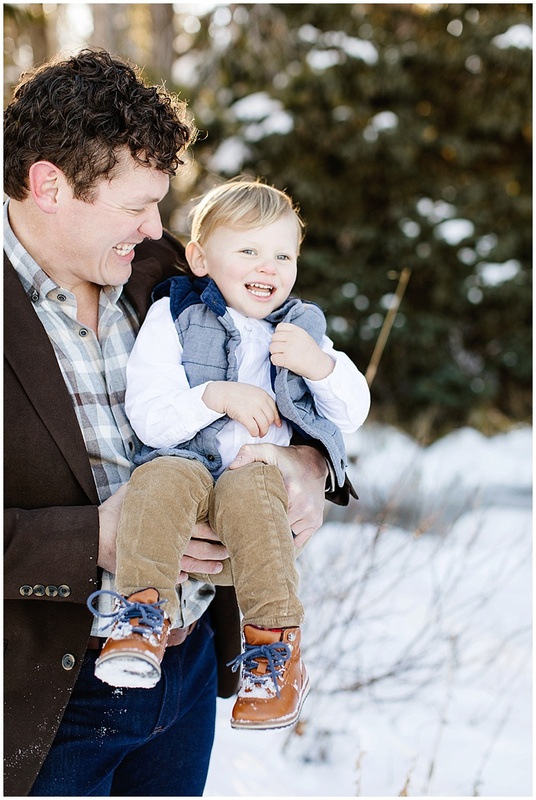 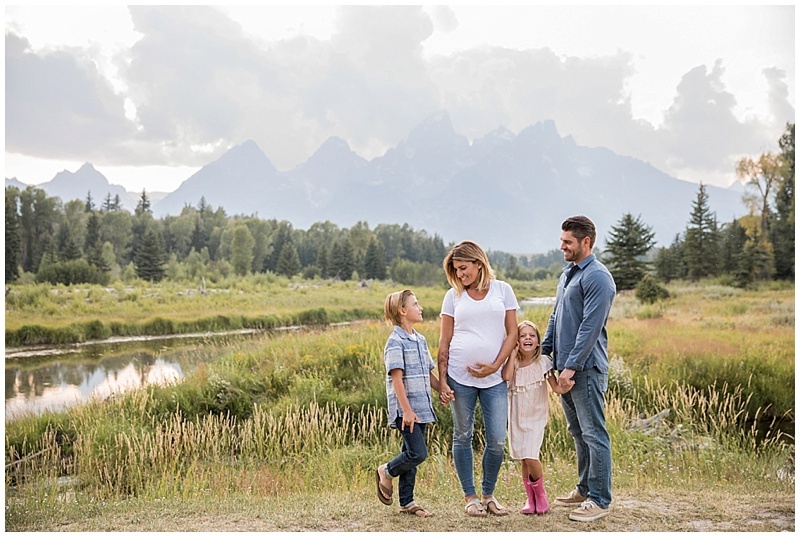 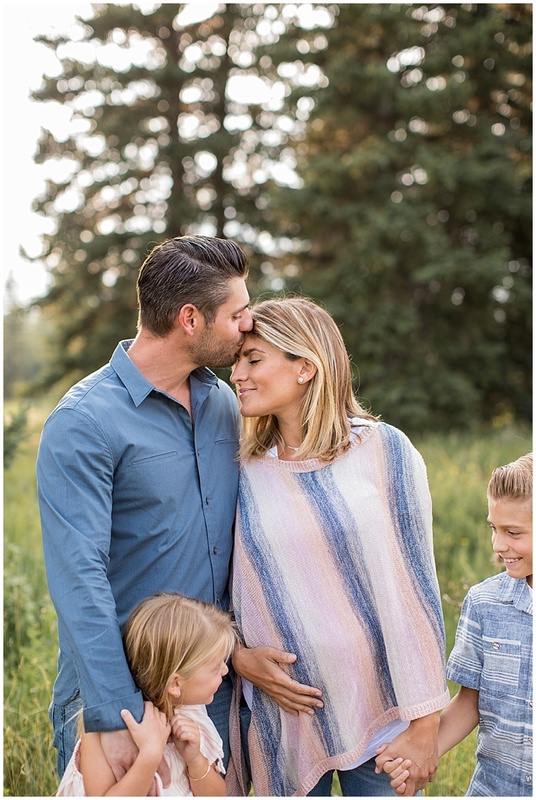 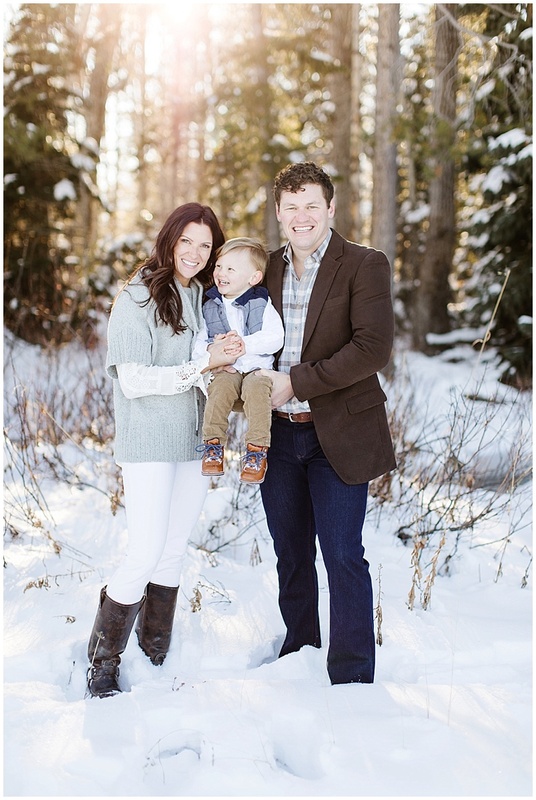 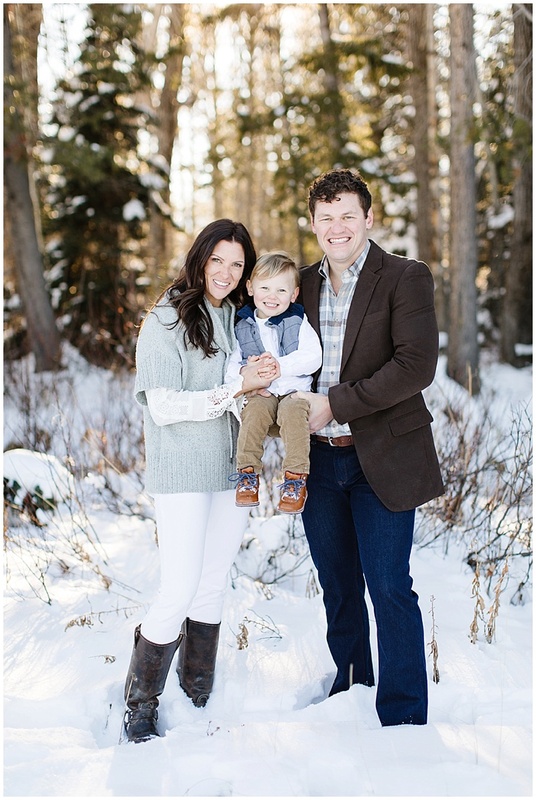 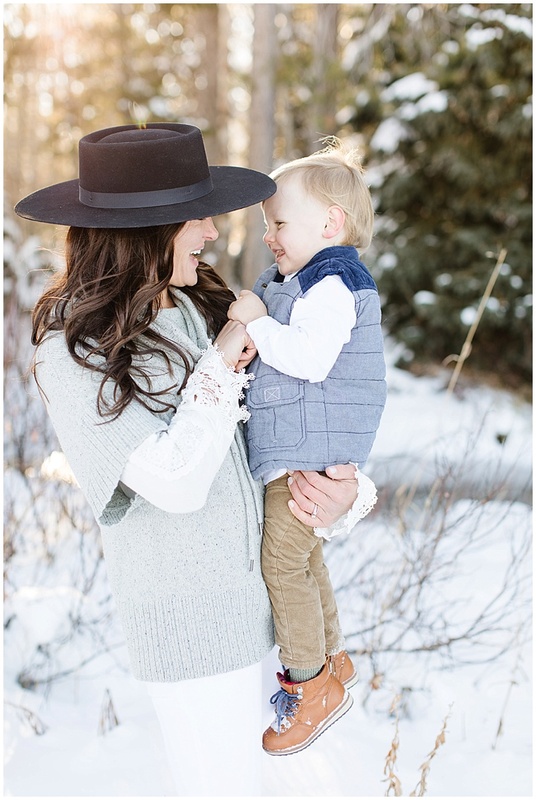 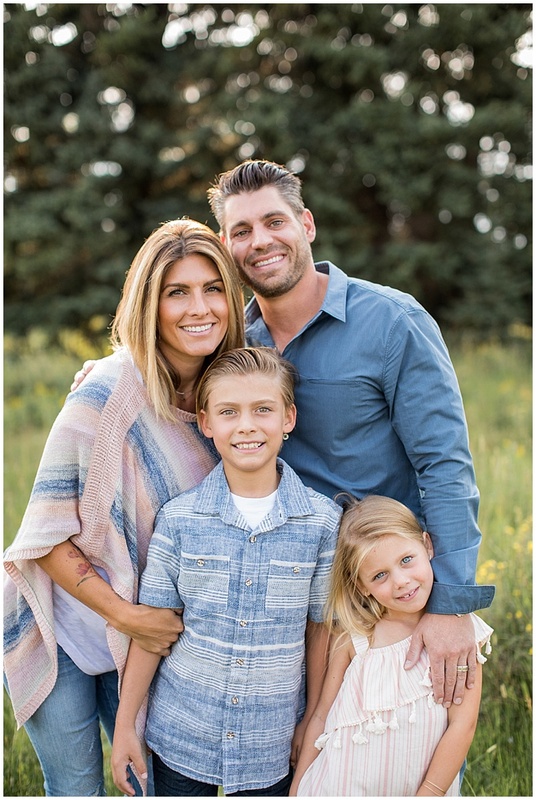 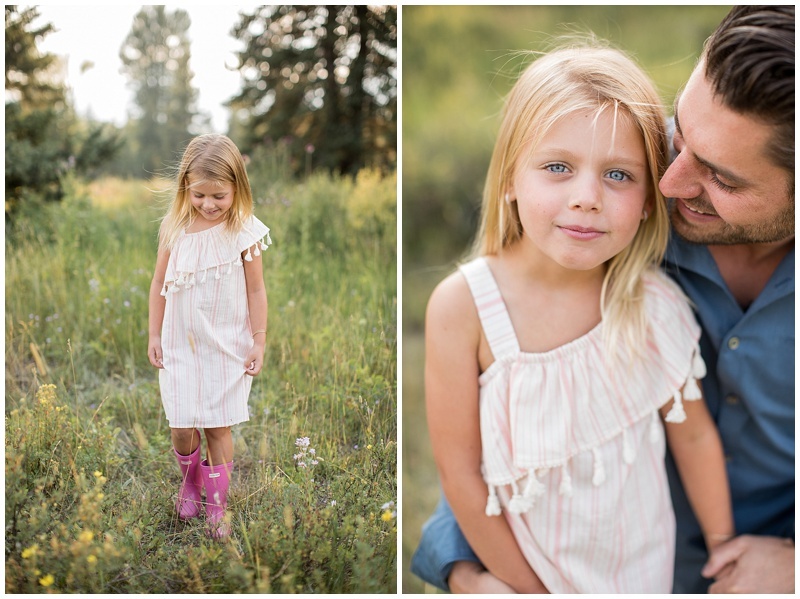 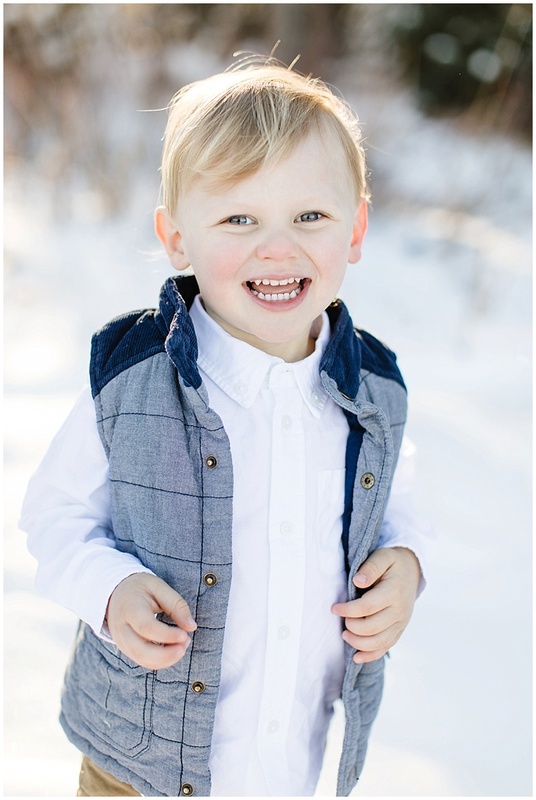 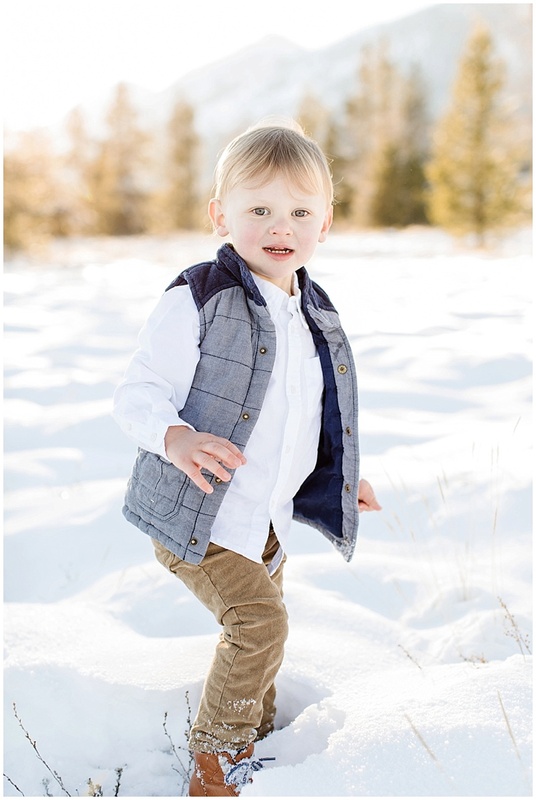 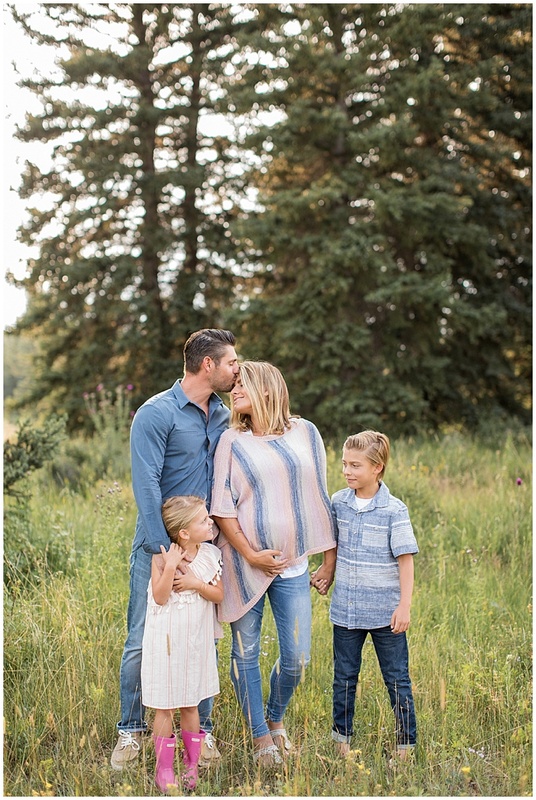 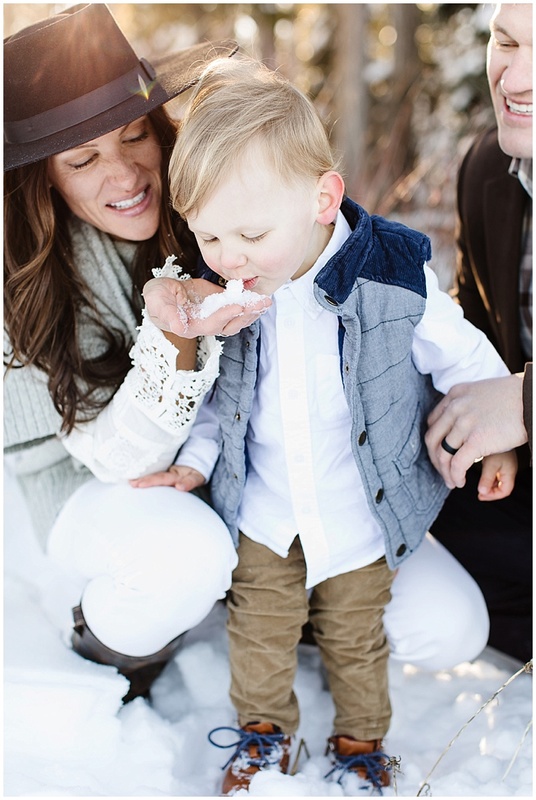 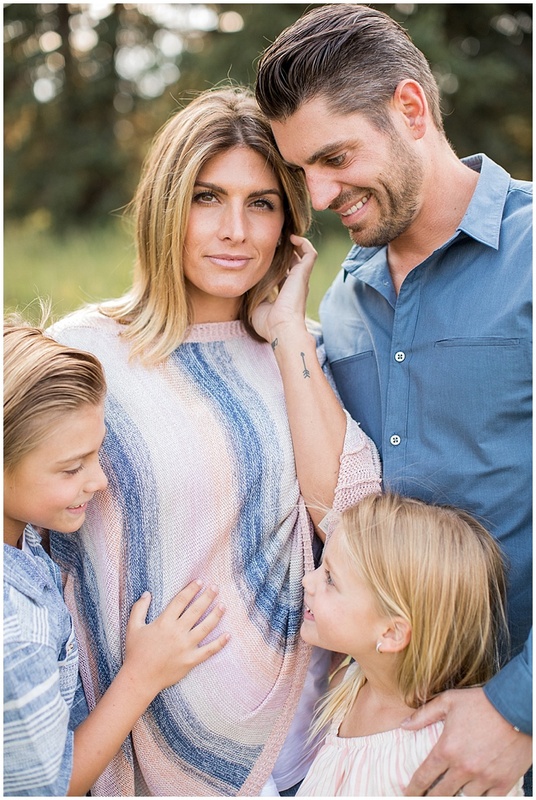 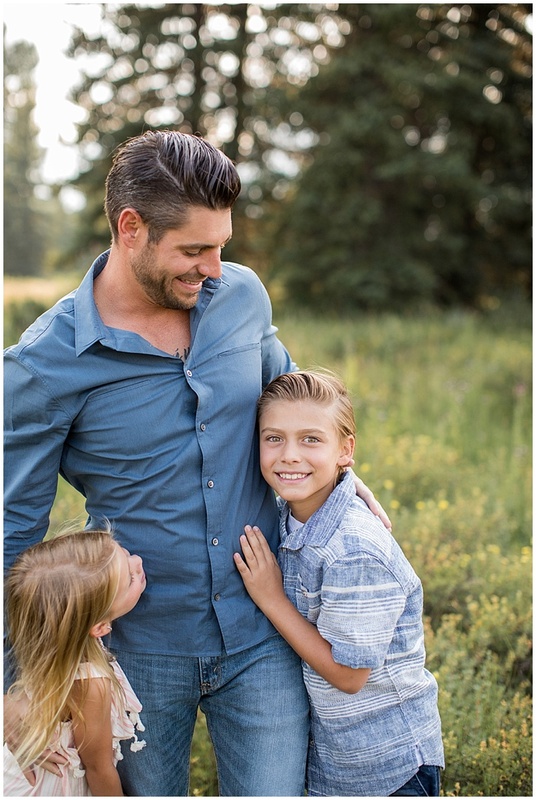 Their formal photo session took place in Teton National Park. 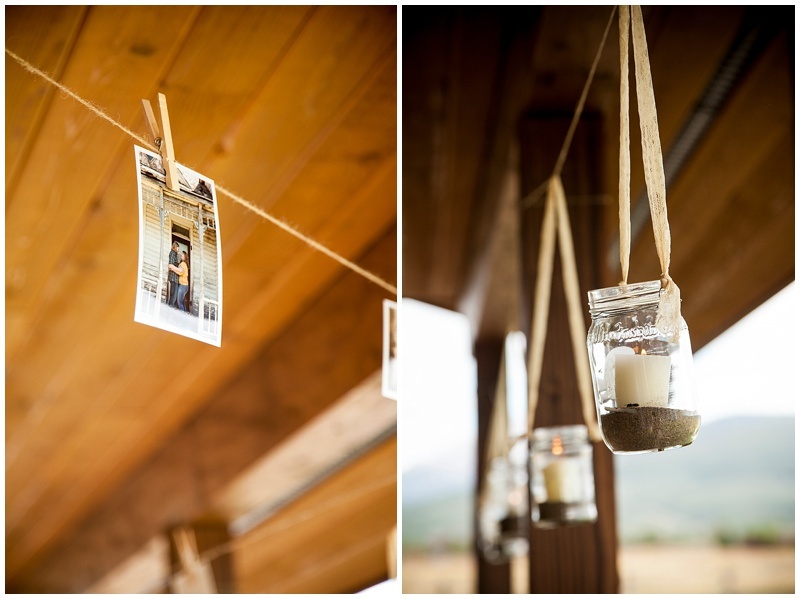 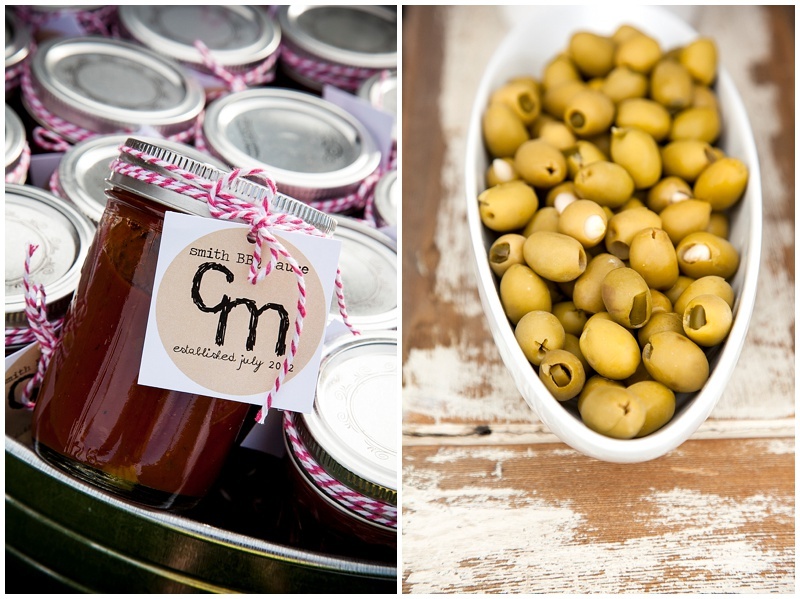 Melissa put a lot of effort into all of the hand made details for her wedding. 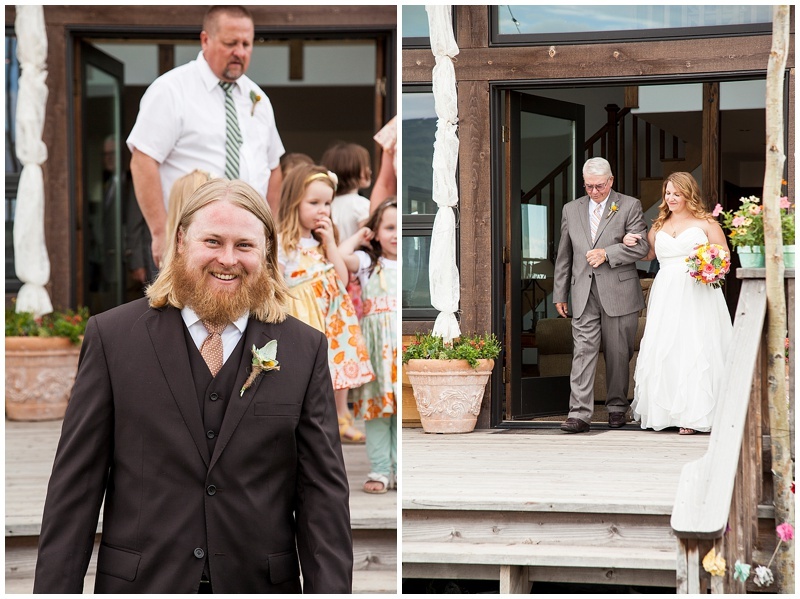 Courtney even participated in canning the homemade barbecue sauce for the party favors and he smoked all of the meat for the party after the ceremony. 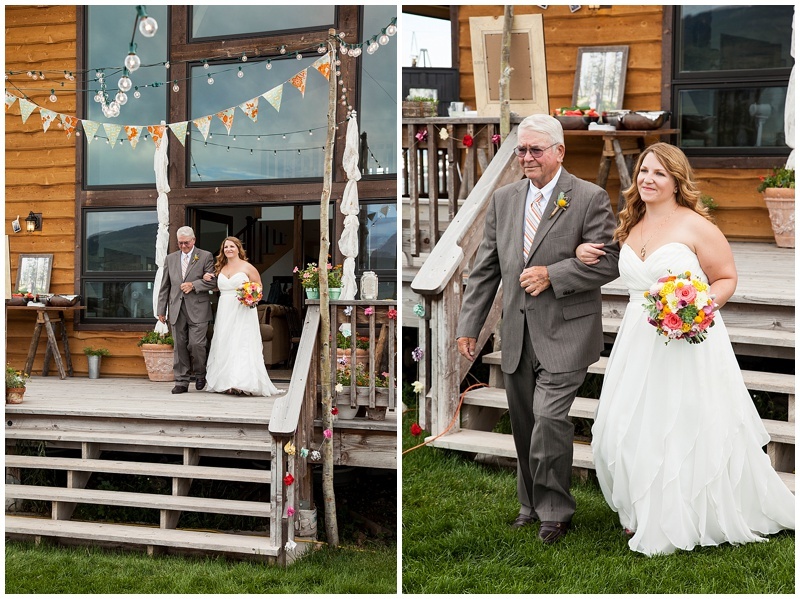 Melissa used her very talented family members to help with a lot of the decor :)! 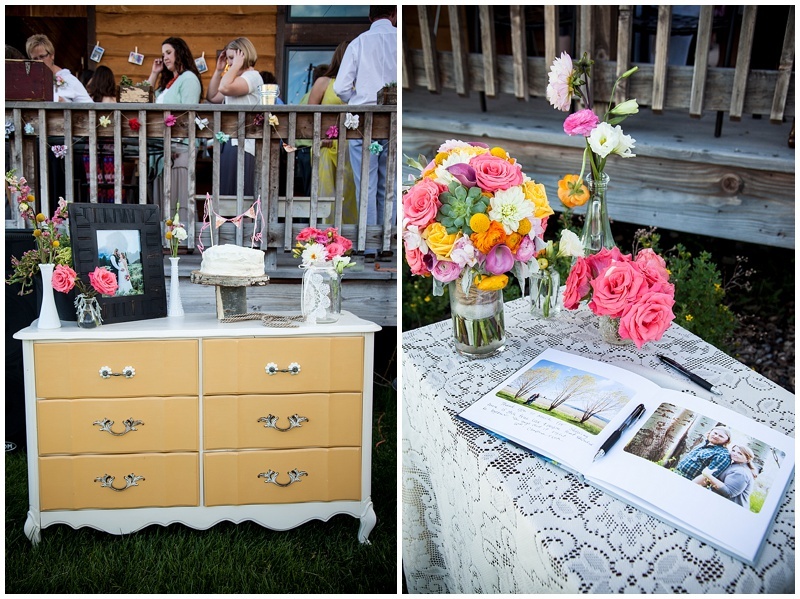 (Melissa is my sister in law, and I helped with a lot of the decor! 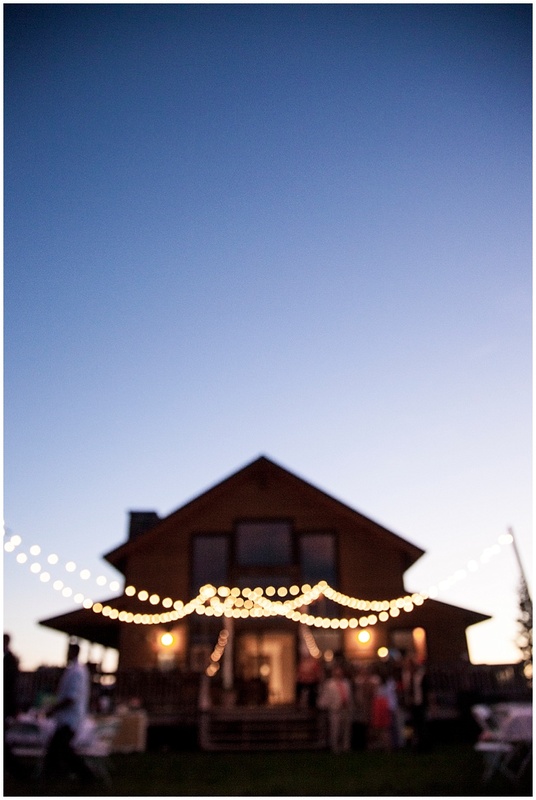 Haha!) 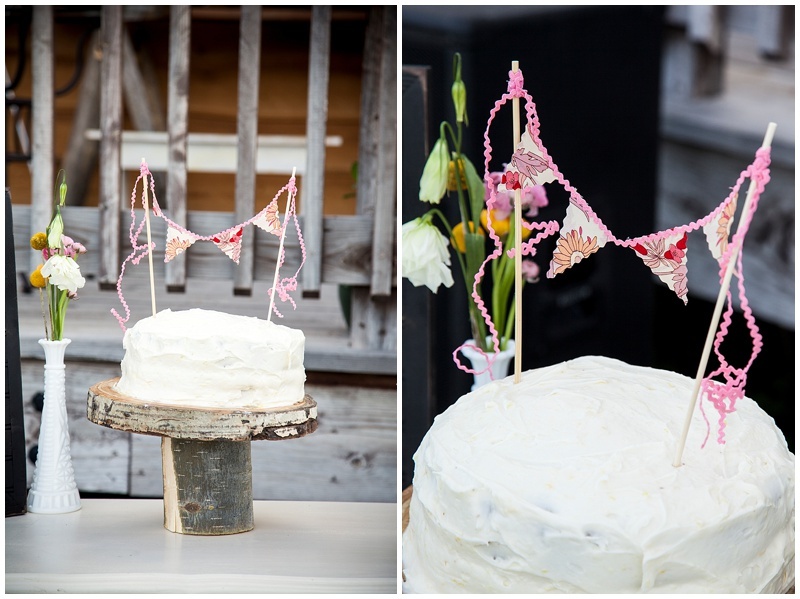 Handmade dresses, frames, and bunting. 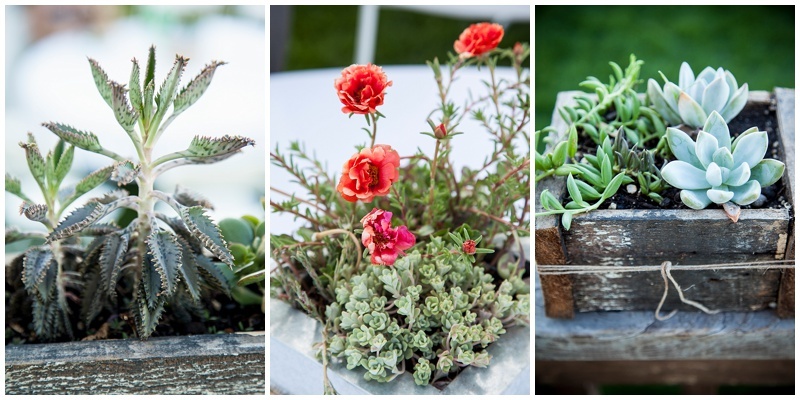 Melissa planted all of the succulent flower boxes, and then gave them away as thank you gifts to those that helped with the wedding. 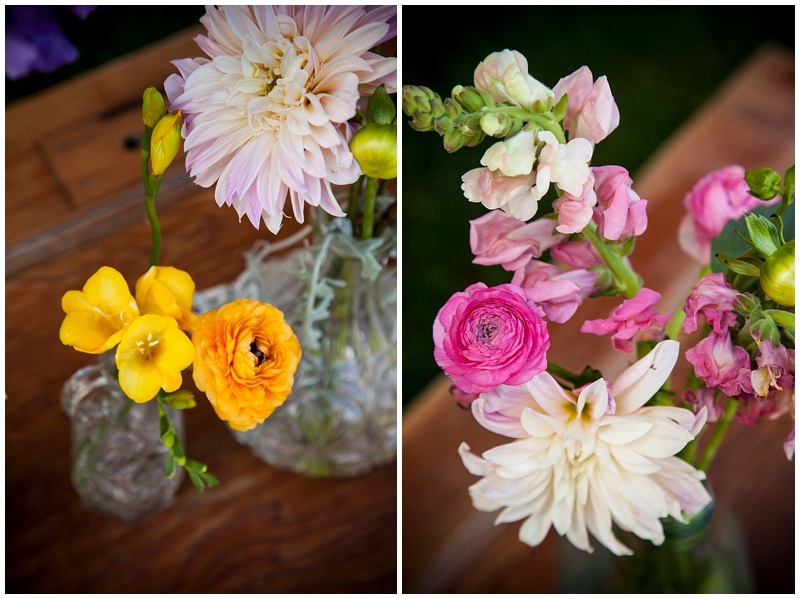 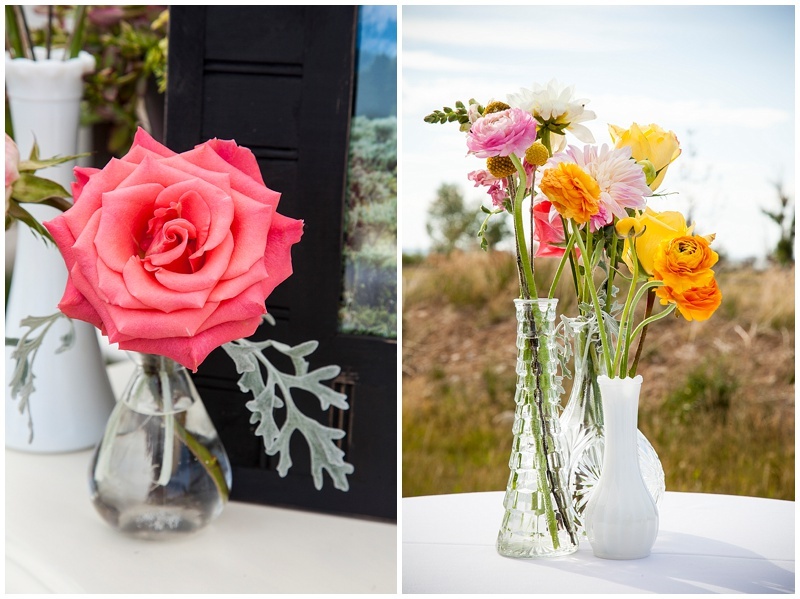 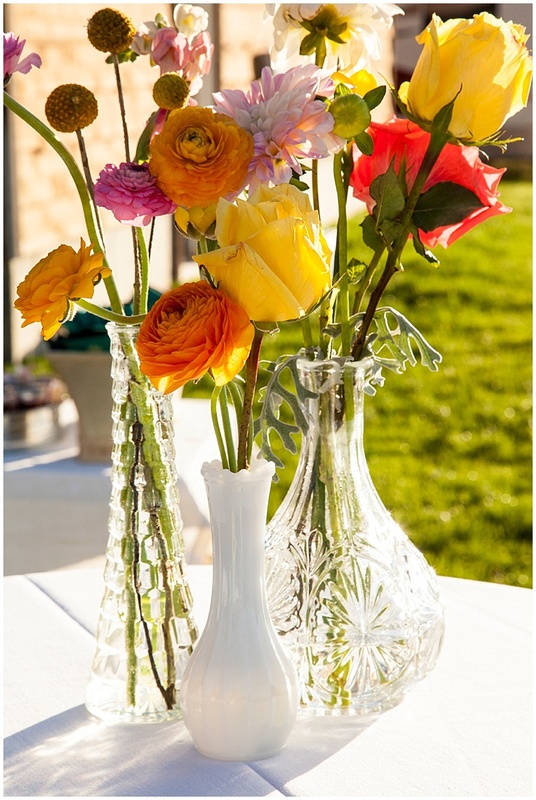 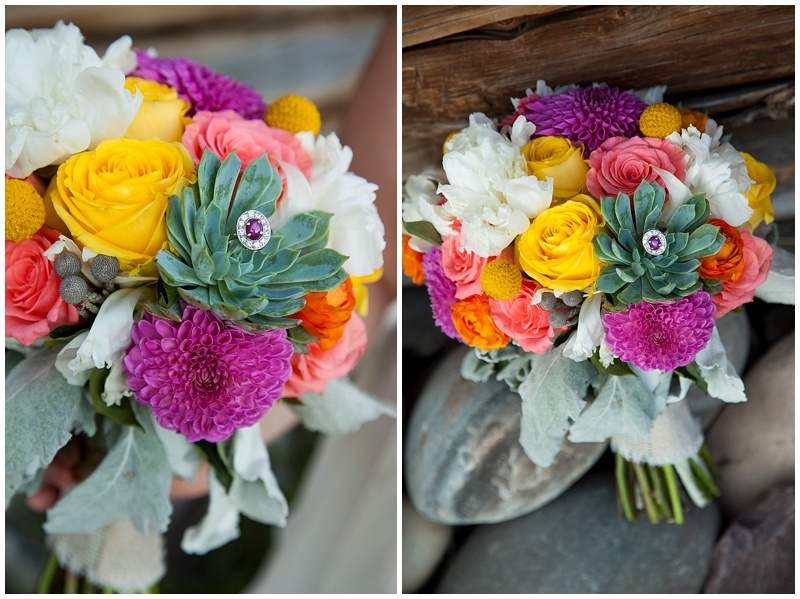 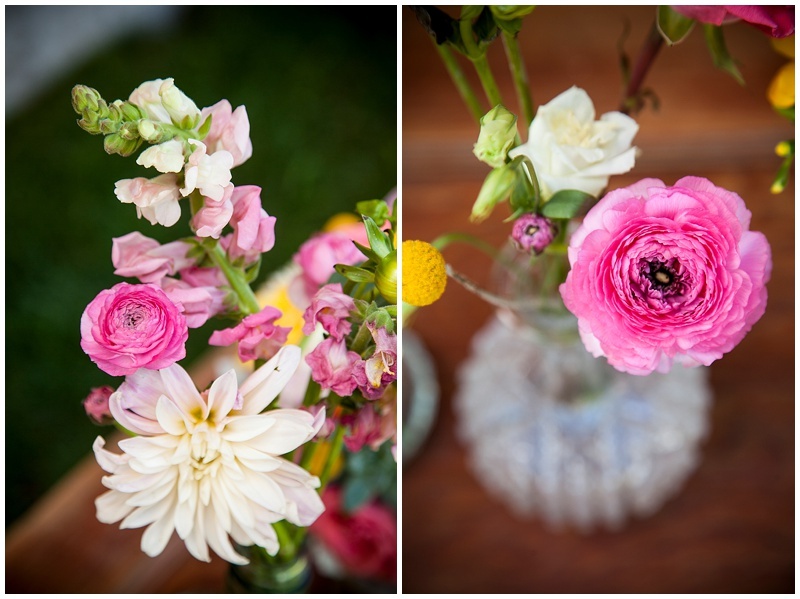 Dahlia Event Planning and Floral Design made the amazing bouquet and wedding boutonniere and supplied all of the amazing fresh wedding flowers.